In December of last year my boyfriend of six years, best friend, and partner in crime popped the question and asked me to be his wife. After a couple weeks on cloud nine we finally came back to earth and realized we should probably get starting planning this wedding. While I had no idea whether I wanted roses or peonies, one thing was certain – planning a wedding was something that was definitely in my wheelhouse. Through my three-and-a-half years of being an Account Executive at The BLU Group – Advertising & Marketing, I have fine-tuned a procedure that when followed, can help you properly manage any size project from kick-off to completion. Identify the Goals – My fiancé and I had always talked about doing a destination wedding. After getting engaged and realizing the long list of possible locations that could include, we determined that we wanted to throw a small, intimate wedding, in a tropical location, that we felt all our guests could afford to attend. By making our goals as succinct as possible, we were able to better choose the perfect location that met all of our criteria. Determine a Budget – Many couples say that you can set a budget for your wedding but it eventually goes out the window. While I admit that it’s hard to come to the realization that you cannot always afford everything you may want, the project manager in me knows the importance of sticking to your original budget. There’s a reason that number was put in place; it’s what you can afford and you need to be realistic about what that number will get you. 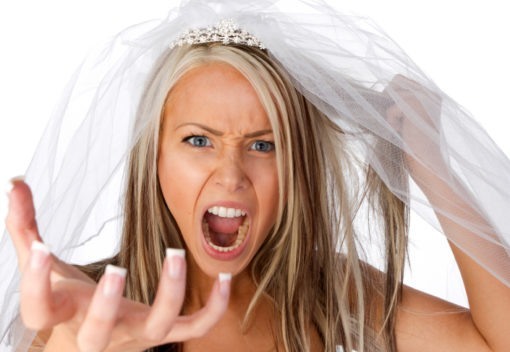 Sometimes that means the custom Vera Wang wedding dress you want is out of the question. Break Down and Allocate Your Budget – Break down your budget for each category; venue, band, dinner, etc. This will help you clearly keep track of every bill as it comes in, show you where your money is going, and help you better manage your overall number. If a certain area is more important to you than another, allocate accordingly. When you spend more in one area, you will need to take from another to balance your budget. Develop a Time Line – Working backward from your wedding date is a good way to judge when you need to accomplish a necessary task. But it’s also important to plan for the unknown. For example, you may plan to choose your wedding dress six months before your wedding. Plenty of time, right? But when you take into account that it can take three months for your dress to come in after being ordered and you may need several rounds of alterations to perfect the fit, you need to plan accordingly. It’s always better to have things done ahead of time then to be in a time crunch at the end. Capture the Details – Whether you have one point of contact in your wedding coordinator or you’re planning everything on your own, always be sure to confirm all details via e-mail or have them in writing in your contract. The last thing you want is to have the added stress of a vendor not following through on a promise. Also, don’t be afraid to check-in on those that are working on your behalf to ensure that everything is going as planned and they are on schedule. Being proactive now can save you possible stress down the road. Don’t worry, doing this simple task hardly qualifies you as a bridezilla. Effectively using project management skills when planning our wedding will help to breakdown the tasks that can often seem overwhelming and help us stick to the goal we want to achieve; which ultimately is throwing an incredible celebration for our closest family and friends to begin our lifetime of happiness together. And although we still have yet to receive a few RSVP’s, I think the return on investment will be pretty substantial.